The XDH10TTAM is a high security outdoor detector, combining established and patented technologies such as Tri-Digital Detection Signal Processing and Tri-Anti-Mask Technology which have been adapted to enhance performance in extreme outdoor conditions. 10m Volumetric coverage in both lenses – ideal for hostile environments. 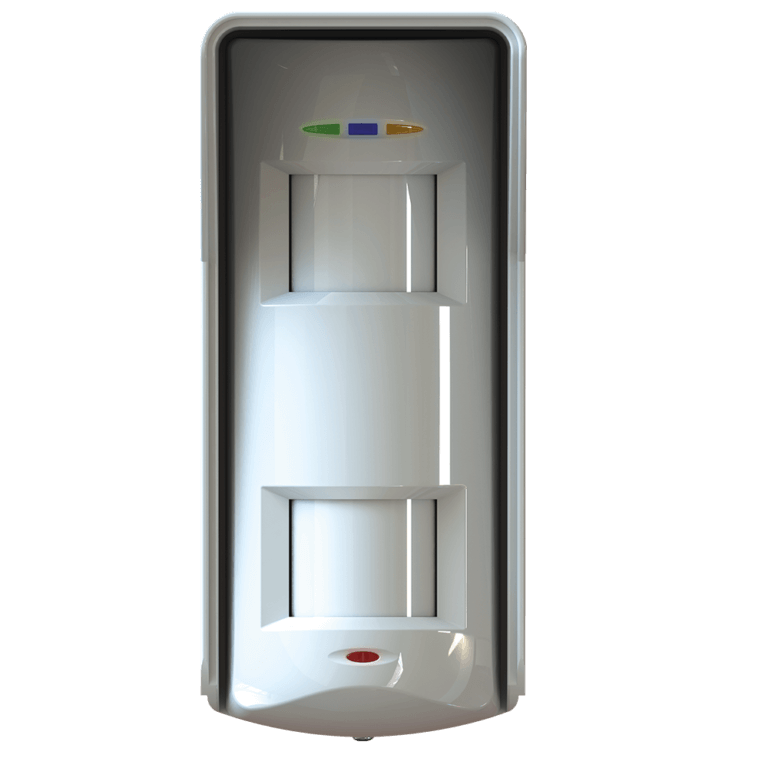 The range of XD is determined by the combined range of the three detection technologies it uses – two PIR sensors and one microwave detector. For best performance in outdoor conditions the Tri Detection range is specified between 10m to 13m depending on the lens fitted to the PIR detectors. 2.4m Installation Mode (Lens 5, 10m range): In this mode the detector is installed at height of 2.4m providing volumetric coverage of the area and animal immunity of up to 10kg. This is the factory default configuration where the detector is fitted with Lens 5. 1.5m Installation Mode (Lens 3, 13m range): In this mode the detector is installed at an height of 1.5m providing horizontal curtain coverage of the area and animal immunity of up to 25kg. This is an alternative configuration where the detector is fitted with the supplied Lens 3. The detection of human presence is based on the advanced analysis of the activation sequence of the microwave movement sensor and the two independent digital PIR sensors. All three sensors are required to activate at the same time in a particular time window to create an alarm state. Using tri-signal detection logic enhances the detector’s immunity to environmental disturbances. An advanced filter that is designed to protect against false alarm activations in environments with windy weather conditions and swaying vegetation. Pyronix patented anti-masking technology provides masking protection for both PIR and the microwave detectors. 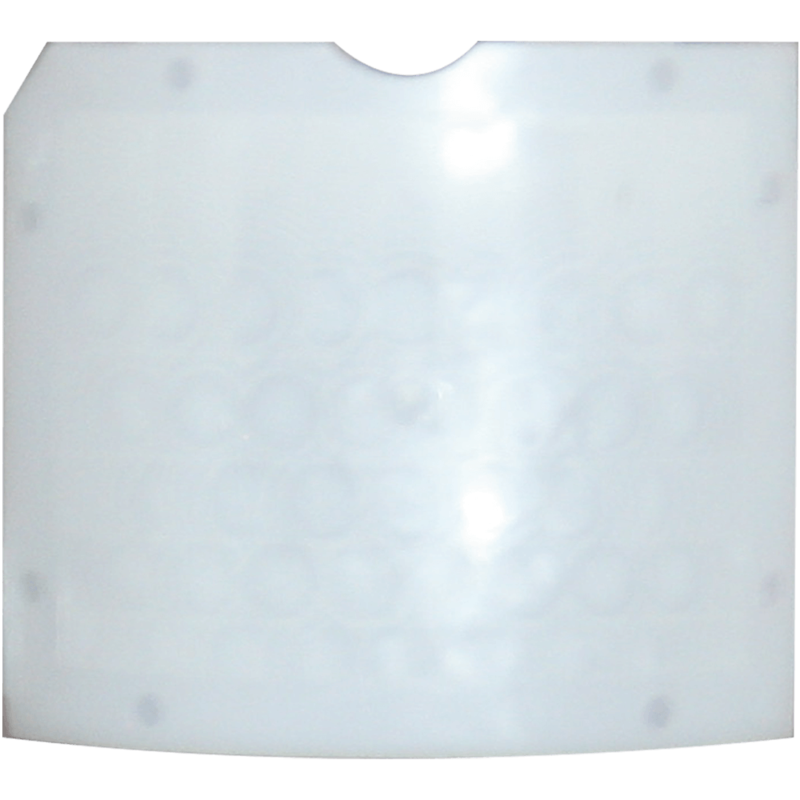 A protective anti-mask bubble is created in front of the detector and is adjustable from 0 to 1m. If the protective bubble is breached and any of the detector technologies masked with substances like paper, sprays, lacquers, sellotape, cardboard boxes etc. the XD will go into an anti-mask condition activating a dedicated anti-mask relay. The XD detector will digitally adjust itself to maintain detection range in hot and humid environments where the ambient temperature becomes similar to the external body temperature (equivalent to 32C). Ultraviolet light is always present in our environment and is particularly strong at high altitude and sea side. The exposure to such high radiation reduces performance and can fully blind PIR lenses. To counter this, XD lenses are coated with a heavy duty ultraviolet filter and manufactured to the highest standards. The XD is supplied with three different frequency bands. Each of them is indicated with a different colour label. This feature allows the installation of multiple detectors in close proximity without the danger of frequency interference. To enable the installer to perform an easy and quick walk test during installation as well as audible indication of a presence in the detection area, the XD features a built-in buzzer. 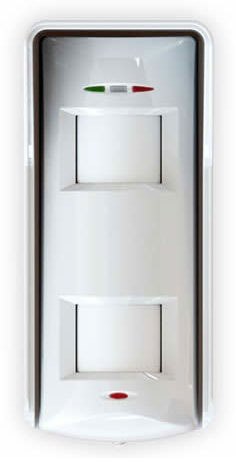 This creates a buzzing noise to indicate an alarm activation during installation testing (may be disabled if required). The lens collet is designed to firmly hold the lens in place and create a stable environmental chamber between it and the PIR sensor. A rubber gasket on the lens and a foam gasket on the PIR sensor are used as a further sealant against all weather conditions and humidity. 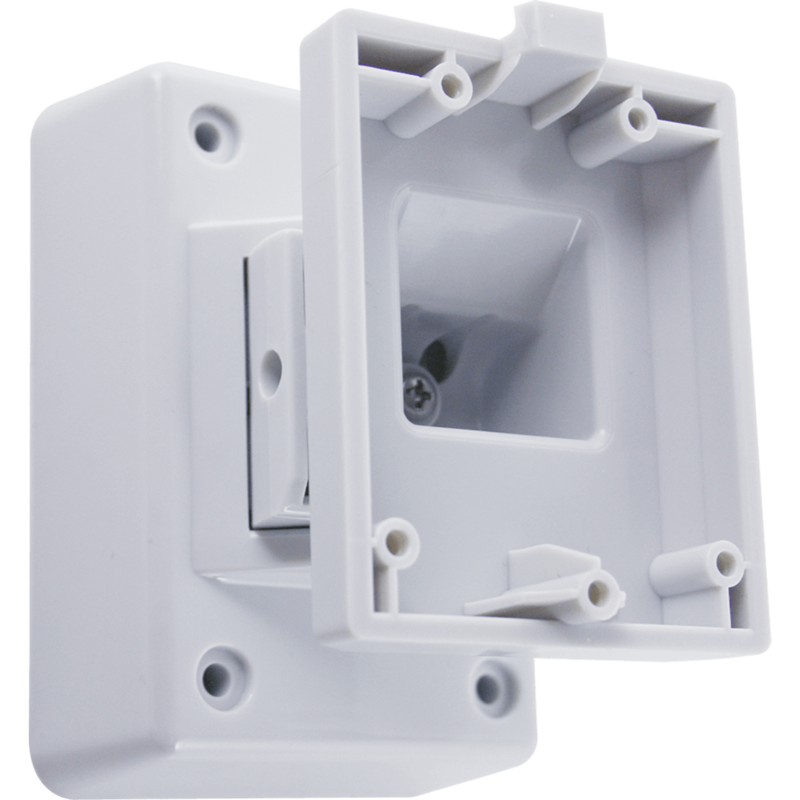 In addition, the sealed PIR sensor chamber protects the PIR sensors from possible insect infestation and internal air movement. 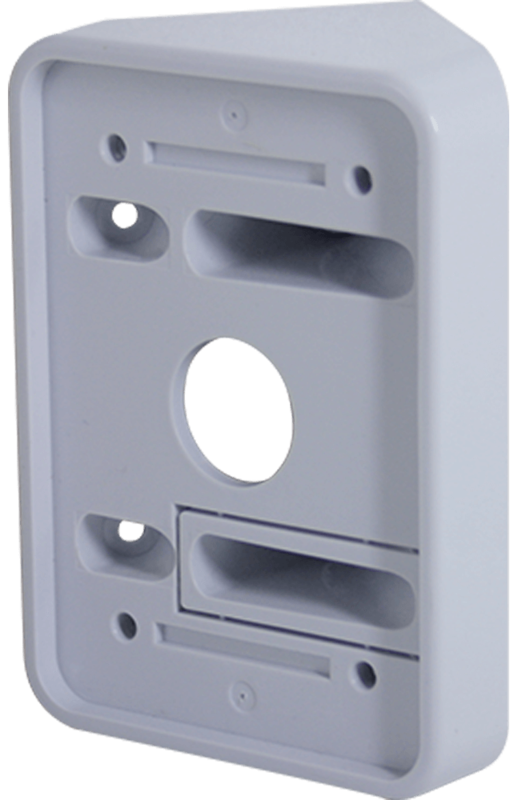 The optional heavy duty tamper proof bracket also includes a cable through feature for easy installation and added security as the wires are hidden away within the bracket. It moves 45 degrees left and right allowing a total area coverage of up to 90 degrees when two detectors are installed next to each other. If wires cannot be hidden in the bracket for any reason, it is also possible to install a conduit to protect the cabling.